Do you have an idea that you want to bring to the market? Are you wondering if the project you are developing is ready to leave the research lab? 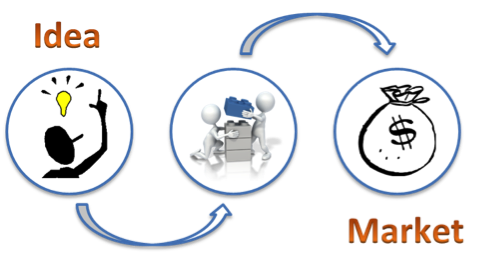 Are you willing to innovate in the domain of analytics for healtchare? Inspired by the Stanford and the Oxford Biodesign programs, the third edition of the BIG@UCA summer school is part of the educational activities proposed in the context of the UCA IdexJedi project MNC3 (‘Médecine Numérique: Cerveau Cognition Comportement’ – ‘Digital Medicine: Brain, Cognition, Behavior’ ). The summer school is organized by the CoBTeK laboratory of the UNS, in collaboration with the INRIA teams EPIONE and STARS and by the Association IA. The mission of BIG@UCA summer school is to offer to an interactive and motivated international group of participants an innovative and stimulating course associating theory, group work, and personal reflection. Participants will also have the unique possibility to observe patients in a real clinical setting (day center), and to learn how to develop a participatory design, where the patient is not a mere “object” of observation, but is active part of the innovation process. 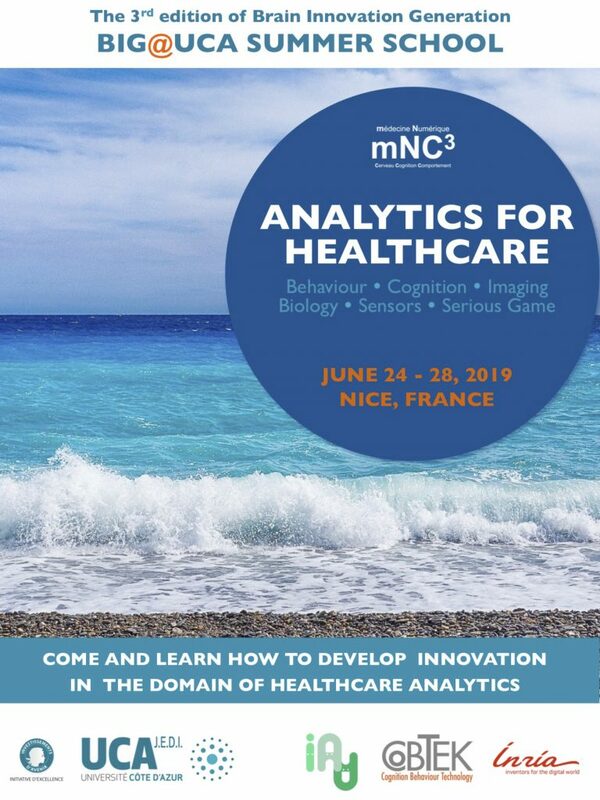 At the end of the summer school, participants will have the instruments to identify an innovation opportunity in the domain of healthcare analytics, and will have a clear picture of the steps necessary to start its development. The course will be mainly hold in Nice (France), at the Institut Claude Pompidou (10 rue Molière), a pilot clinical institute welcoming patients with Alzheimer’s disease and related disorders from early diagnosis to long-term support. Visits will be organize to: the INRIA in Sophia Antipolis, an internationally recognized technical research center developing, among others, hardware and software applications for healthcare (monitoring systems, activity recognition algorithms, MRI data analysis techniques); the Institute of Molecular and Cellular Pharmacology (IPMC) in Sophia Antipolis, a mutli-theme research center in biology, associating the CNRS and the Nice Sophia Antipolis University; and the ‘Fondation GSF Jean Louis Noisez’ in Sophia Antipolis, a day center welcoming patients with Alzheimers’ disease and related disorders, also at very advanced stages of the disease. The summer school will employ a wide range of teaching methods, including presentation of theoretical frameworks and contents by guest lecturers, moments of personal work and reflection, group work and idea sharing, and personal coaching. Furthermore, students will have the opportunity to observe videos of real patients in a clinical setting. This summer school is It is a part of the educational activities of the UCA IdexJedi project MNC3 (Médecine Numérique: Cerveau Cognition Comportement).